Enthused by an exciting young squad and a potentially kind draw against Sweden in Saturday's quarter-final, England fans are starting to believe they can end a 52-year wait to win the World Cup. 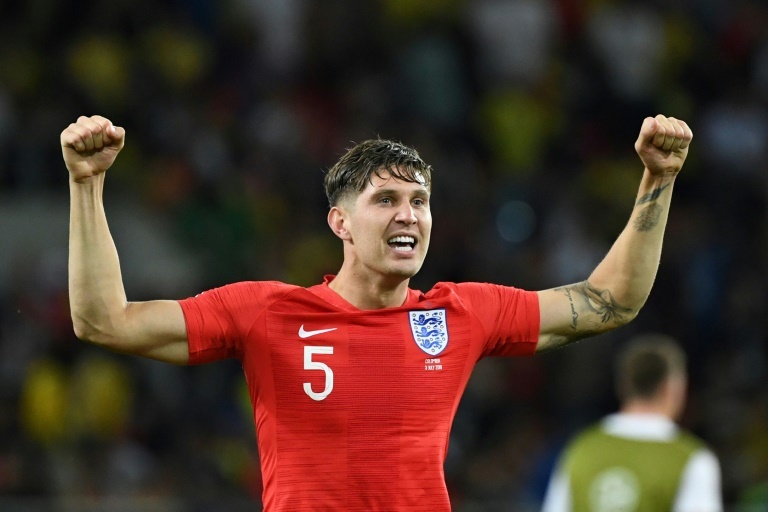 "We'd like to bring it home," said England defender John Stones on Thursday. "I'd love to win a World Cup, England would love to win a World Cup. "It’s great to see the support back home. Everyone's getting behind us in their thousands," added the Manchester City player. "I’m getting videos and pictures from my friends back home watching the game, in the pubs, wherever they are in the country." "I think if you say it's an easy game in a quarter-final of a World Cup then you are pretty stupid to say that." "Sometimes they can throw you, these teams. They can go kind of under the radar, but there is no question they are a good team. They wouldn't be where they are if they weren't." "Normally the other teams have better players on paper and we let them have the ball in the places we want them to have the ball," said Sweden captain Andreas Granqvist. "If you look at the games we have played of course the opponent has more ball possession, but we have created more dangerous chances. This is how we play... this is our way to have success." "Sweden are good on the counter-attack and we need to be aware of that," warned England wing-back Kieran Trippier. "We just need to move the ball quickly if they do sit off. We need to manage the game well and make the pitch as wide as possible."